The protein gamma-secretase appeared to be a promising target for drugs to treat Alzheimer’s disease. It “cuts” the amyloid precursor protein to release amyloid-beta — a protein fragment that clumps together and forms neuron-killing plaques. 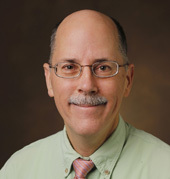 “Amyloid-beta is thought to ‘seed’ Alzheimer’s disease, so lowering its production has been a goal to prevent, or possibly treat, the disease,” said Charles Sanders, Ph.D., Aileen M. Lange and Annie Mary Lyle Professor of Cardiovascular Research at Vanderbilt. However, although inhibitors of gamma-secretase successfully reduce the production of amyloid-beta, participants in previous clinical trials experienced side effects including skin cancers and reduced cognitive abilities. The problem, Sanders said, is that in addition to cutting the amyloid precursor protein (APP), gamma-secretase also cuts other proteins. And one of these proteins, called Notch, needs to be cut to initiate a signaling pathway that is important to multiple cellular functions. “If you inhibit gamma-secretase, you reduce amyloid-beta production, which is good, but you also inhibit Notch cleavage, leading to cancer and other disorders,” said Sanders, who is also professor of Biochemistry and Medicine. Sanders and his team had previously solved the molecular structure of the APP region that is cut by gamma-secretase to generate amyloid-beta. 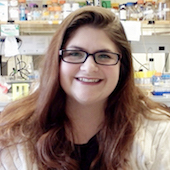 Now, in research led by Catherine Deatherage, Ph.D., the investigators have solved the molecular structure of the corresponding region of Notch, to look for differences that might guide the development of selective inhibitors. They reported in Science Advances that “the way the Notch region is shaped and the way it interacts with the membrane is distinctly different” from APP, Sanders said. They also discovered that, in contrast to APP, the Notch region does not bind cholesterol. The differences “provide hope to an old idea that it might be possible to develop compounds that selectively interact with either of these proteins and/or with gamma-secretase in a way that inhibits the APP pathway but leaves the Notch pathway alone,” Sanders said. The cholesterol-binding region in APP, but not Notch, is of particular interest, he noted. Drugs called gamma-secretase modulators appear to bind to the cholesterol-binding region of APP, but they have not been clinically successful inhibitors of gamma-secretase action. “Our structure gives an extra bit of information that may allow drug development to go a step further than it could before,” Sanders said. The clinical failures of drugs that attempt to block amyloid-beta production have made the idea that amyloid-beta initiates Alzheimer’s disease controversial, Sanders said. “I think we haven’t tried the right things yet, and I’m still hopeful that this is a pathway that can be targeted,” he said. Deatherage, a former Vanderbilt graduate student, is now a postdoctoral fellow at Yale University. Other Vanderbilt investigators who contributed to the research included Zhenwei Lu, Ph.D., Brett Kroncke, Ph.D., Sirui Ma, Jarrod Smith, Ph.D., and Markus Voehler, Ph.D. The research was supported by grants from the National Institutes of Health (GM106672, DK069921, GM113355).